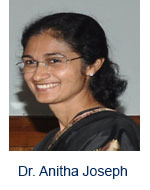 Dr. Anitha Joseph is Professor in Department of Civil Engineering, TKM College of Engineering, Kollam, Kerala. Teaching experience: 28 years. B Sc. (Engg) degree in Civil Engineering from College of Engineering, Trivandrum, University of Kerala (1984), in First class with Distinction . M. Tech. degree in Structural Engineering from College of Engineering, Trivandrum, University of Kerala (1986), in First class . Ph. D. in Ocean Engineering (Offshore Structures) from Indian Institute of Technology Madras (2004).Areas of Professional Interest: Structural Engineering, Offshore and Coastal Structures, Experimental techniques, Instrumentation, Finite Element Analysis, Bathymetry modeling, Analysis and Design of Earthquake Resistant Structures. 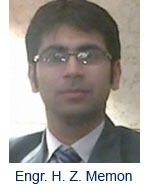 Dr. Rizwan Ahmad Khan is an Assistant Professor in the Department of Civil Engineering at the Dr B R Ambedkar National Institute of Technology Jalandhar He received his Ph.D.Degree in Applied Mechanics from Indian Institute of Technology Delhi 2009.Then worked as a Assistant Professor at Dr B R Ambedkar National Institute of Technology Jalandhar for 06 Years. 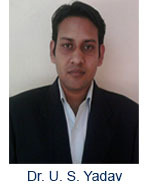 He is having 10 Years of Experience in the field of Civil and Offshore Engineering. His Area of Expertise includes: Offshore Structures, Reliability of Structures, Concrete Mechanics and he is the author of many research papers and recipient many grants and awards etc. Dr. G.S. 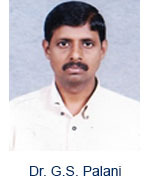 Palani is a Scientist in CSIR-Structural Engineering Research Centre (CSIR-SERC), Chennai, one of the National Laboratories of Council of Scientific and Industrial Research (CSIR). He received his/her Ph.D. Degree in Computational Fracture Mechanics from Indian Institute of Science, Bangaluru in 2005. 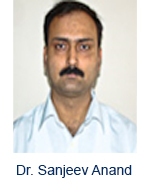 He has been working as a Scientist in CSIR-SERC for the last 26 years. He is having 26 Years of Experience in the field of Structural Engineering His Area of Expertise includes: advanced finite element analysis, computational Structural dynamics, fatigue and fracture analysis, steel structures analysis, design and testing and material science. He is the author of 60 papers in various International and National Journals, 75 papers in various Conference/Seminar/Workshop proceedings and over 100 technical reports, recipient of many Grants, awards etc. Dr. Upendra Singh Yadav is an Assistant Professor and Head in the Department of Petroleum Engineering at the DIT University Dehradun. He received his Ph.D. Degree in Petroleum Engineering from Indian School of Mines, Dhanbad in 2013. Then working as a HOD in Department of Petroleum Engineering at the DIT University Dehradun from last 2 Years to till date. He/she is having 5 Years of Experience in the field of R & D. Her/his Area of Expertise includes: Enhanced Oil Recovery, Drilling Fluids, Flow assurance, Production Engineering and Reservoir Engineering. 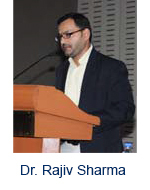 R. Sharma received his BE in Civil Engineering from the Indian Institute of Technology, Roorkee (formerly University of Roorkee, Roorkee) in 1994; MTech in Ocean Engineering in 1999 and PhD in Computer Aided Design and Manufacturing from the Indian Institute of Technology Kharagpur, India in 2008. Currently, he is working as an Associate Professor at the Department of Ocean Engineering, Indian Institute of Technology Madras, Chennai, India. His research interests are computer aided geometric design, computational geometry, visualization, and their applications in design, manufacturing and robotics; ship production management and dynamic data driven forecasting systems. 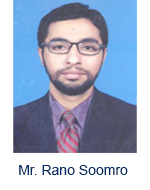 Mr. Rano Soomro has done graduation in Petroleum & Natural Gas Engineering from Institute of Petroleum & Natural Gas Engineering Mehran University of Engineering and Technology Jamshoro Sindh Pakistan. He remained meritorious student of the Institute throughout four years by getting merit scholarship. He has served as a President of Society of Petroleum Engineers Mehran Student Chapter for one year and two months for which he has arranged record number of short certified courses and field visits for the students including All Pakistan Sub Regional Student Paper Contest 2012. He was selected for the SPE Office bearers workshop held in Qatar during his four years studies. Mr. Soomro got 1st Place Winner Award in ADIPEC ( Abu Dhabi International Petroleum Exhibition and Conference) held at Abu Dhabi UAE, Where he presented his research work on “World Economic Crises; Its Effects On Energy Business” among 91 best candidates selected from 26 countries and 49 institutes. Mr. Soomro has visited almost many fields of National and Multi-National Companies including Bhit Gas Field ENI, Sawan Gas Field OMV, Tando Alam Oil Complex OGDCL, Kunnar LPG Plant OGDCL, Kausar Facility UEP and Eastern Hemisphere Education Centre Baker Hughes Abu Dhabi. Mr. Soomro has working experience as an Internee in production Department Mari Petroleum Company Limited for one month. His research for final year project was on “Integrated Production Modeling an Asset for Designing a Development Program of a Field - A Case Study”. 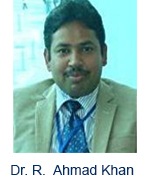 He has represented his SPE Student chapter in Annual Technical Conference arranged by SPE Pakistan Section in 2012. Currently, he is working as a Lecturer in Institute of Petroleum & Natural Gas Engineering Mehran University of Engineering and Technology. 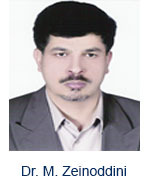 Dr. M. Zeinoddini is an Associate Professor in the Offshore and Marine Structures Department of Civil Engineering at the K.N.T. University of Technology He received his Ph.D. Degree in Offshore Engineering from University of Surrey in 1999. He is having 28 Years of Experience in the field of Structural and Offshore Engineering. His Area of Expertise includes: Design of Offshore and Marine Structures, Construction of Marine Structures , Design of Structures against Explosion and Impact Loads, Non-Linear, Structural Analysis , Fatigue in Structures and Offshore Structures , Shakedown and Ratcheting in structures, Dynamics of Structures. He is the author of 4 books, more than 120 technical papers in refereed journals and conferences, recipient of more than 10 grants and two times distinguished researcher awards. He led over 14 industrial research projects. 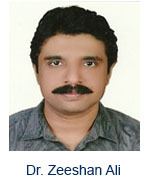 He is the reviewer/member of editorial boards of a number of national and international journals. Dr. Zeeshan Ali is an Associate Professor in the Mechanical Engineering Department at the Mehran University of Engineering and Technology (MUET). He received his Ph.D. Degree in Vehicle Control and Dynamics from University of Nottingham, UK in 2011. Currently working in MUET for last 10 Years. He is having 07 Years of Experience in the field of Adaptive Cruise Control Systems. His Area of Expertise includes: Engine Modeling, Automatic Transmission Systems, Vehicle Dynamic Control, ACC vehicles, Control Engineering, Process Optimization Software, Advanced Flexible Automation Cell (ROLLS-ROYCE, UK), Simulation and Modeling of a Wind Turbine, Simulation and Analysis, Development of Assembly Model, Assembly Optimization, Design and Fabrication of an Electric Car, Design, Fabrication, Testing, and Analysis of HHO generator which serves as a substitute fuel for conventional engine, thus, improves the efficiency and reduces pollutant gases concentrations in the emission. 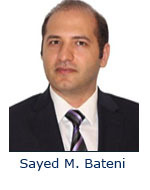 Sayed M. Bateni is a Assistant Professor in the University of Hawaii. Department of Civil and Environmental Engineering. He received his Ph.D. Degree in Civil and Environmental Engineering from Massachusetts Institute of Technology (MIT) Cambridge, MA and earned his postdoctoral from Sharif University of Technology (SUT) Tehran, Iran. Then worked as a Lecturer in University of California Los Angeles (UCLA) Los Angeles, CA for 3 Years. He is having 7 Years of Experience in the field of teaching. His Area of Expertise includes: Earth Remote Sensing, Land-Atmoshpere Interaction, Data Assimilation: Techniques, Development and Application. He is the author of many national and International journals articles, recipient CIRA Fellowship, National Oceanic Atmospheric Administration (2016), DAAD Ph.D Fellowship, Germany (2005 - declined).